Following the invasion of Iraq, the U.S. issued Order 81, prohibiting farmers from saving seeds. This devastated the agriculture sector by creating a reliance on corporations despite financial, environmental, and socio-economic risks and consequences. Following the 2003 war and invasion of the United States (U.S) war on Iraq, the U.S. government appointed diplomat Paul Bremer, as the head of the occupational authority in Iraq. Bremer issued several Orders for a "rebuilding" effort, one of which was Order 81, aimed at reforming Iraq's seed industry - previously centralized and resulting in a rich seed variety over the pre-war years. Under the new Order, farmers were prohibited from saving, sharing, or replanting harvested seeds, leading to reliance on major corporations such as Monsanto, Cargill Inc., and Dow Chemical. As a result, since 2005, Iraq has only been able to provide 4% of its seed needs. Hence, with the new regulation, farmers were forced to buy seeds from suppliers, mainly from Monsanto, which without warning, would charge royalties when crops were found to contain their patented genetic material. Therefore, Order 81 allowed Monsanto to promote the benefits of its seeds to a suffering population without warning farmers of the potential financial risks. Daniel Amstutz, former Vice President of Cargill, was put in charge of USAID’s Agriculture Reconstruction and Development Program for Iraq (ARDI). This work, which was managed by one of USAID’s most trusted private contractors - Development Alternatives Inc. (DAI), focused on accelerating “the transition from a command-and-control production and marketing system to a market-driven economy where farmers and agribusinesses are able to take risks and realize profits”. At the top of ARDI’s list was wheat, Iraq’s most important food crop. In the field, ARDI’s work on wheat focused on the import, multiplication and distribution of certified wheat seed. Those efforts seem to have had little impact. During ARDI’s three years, Iraq’s national wheat production dropped from 2.6 million tonnes in 2002 to 2.2 million tonnes in 2006 (despite a doubling in the area cultivated with wheat). In addition, the national average yields for wheat plunged over those same years from 1.6 tonnes per hectare to 0.6 tonnes per hectare. However, ARDI was also part of a political agenda within a larger US shock-therapy strategy for the Iraqi economy and likely to have been of more interest to US agribusiness. Its central objective was to liberalize and privatize Iraq’s wheat sector and its Public Distribution System in particular. While the chaos following the US invasion rendered an immediate sell-off or dismantling of Iraq’s wheat sector impossible (and illegal under the Geneva Convention), ARDI attempted to push the Iraqi population down the alternative path of neoliberal reforms that could arrive at the same ends while sidestepping political sensitivities and immediate practical problems. Part of this privatization is now being implemented in Iraq through the “International Compact with Iraq” – a five-year plan negotiated by the World Bank, the US and other major donors with the Iraqi government. Whatever the eventual outcome, the combined devastation of Iraq’s wheat production and the opening of its wheat markets to US imports, both brought about by the US invasion, have yielded billions of dollars for US grain companies. In an updated article published in 2016 , Dr. Wasfi writes that according to a Dr. Altameemi, order 81 was never instituted. According to Altameemi, Law No. 15 of 2013 cancelled Order 81 Articles 51-79 concerning plant variety registration and release. To Dr. Altameemi’s knowledge, no genetically modified seed varieties are currently used in Iraq, as they remain prohibited. Iraq is not a member of the International Union for the Protection of New Varieties of Plants, the mission of which “to provide and promote an effective system of plant variety protection, with the aim of encouraging the development of new varieties of plants, for the benefit of society.” An Iraqi seed laboratory has been established to test for GMOs. Any new seed variety must be tested in Iraq for at least two seasons before it can be approved for inclusion the national seed registry and released on the market. Farmers are still free to use and share their own traditional seeds. However there still remain grave concerns for Iraqi agriculture and its impact on Iraqis. 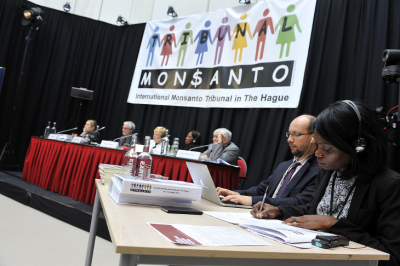 In October 2016, the Monsanto Tribunal was held in the Hague , at the same time, a People's Assembly took place to discuss strategies to counter the problems caused by industrial agriculture. Project Details The US had long-term interests in developing markets in Afghanistan, but Iraq was already the number one destination for its hard red winter wheat exports and a top destination for its rice. It is a US$1.5bn market that wasn’t accessible to US companies before the invasion, because of the sanctions. The US came into Iraq with a heavy agenda for reforming all sectors of its economy, not just agriculture. However, the US’s Coalition Provisional Authority (CPA) could not enforce its neoliberal reform programme as rapidly as it sought to, because it was subject to a series of constraints: the laws of the Geneva Convention, the practical constraints of a lack of interest by investors, and the urgent need for some form of organisation to cater to the basic needs of the Iraqi population. Despite this, the CPA managed to enact a harsh set of neoliberal policies that had a major impact on the country. Indeed, the impact of the reforms, combined with the continuing war, has been so catastrophic that by January 2009, the Chairman of the Iraqi Union of Industries confirmed that 90 per cent of the country’s industries had closed since 2003. USAID launched two new programmes, after ARDI closed in 2006, – a US$343 million Inma Agribusiness Program and Izdihar (Iraq Private Sector Growth and Employment Generation). Both programmes are being carried out by the Loius Berger Group Inc., one of the world’s largest infrastructure and development consultancies, and they are designed to prepare the way for agribusiness investment in the food industry. These agriculture reconstruction programmes also serve a military function and are immersed in military operations. Of the US$250 million of “reconstruction” funds that the US has so far spent on the 581 agricultural projects that it has either proposed, planned or completed since the beginning of the invasion, more than 97 per cent of the projects have been paid for with funds from the Commanders’ Emergency Response Program (CERP), which is managed by the “Multi-National Corps-Iraq”. Only 2.4 per cent of these projects have been funded by the Iraq Relief and Reconstruction Fund, which is supervised by the US’s Special Inspector General for Iraq Reconstruction. CERP was initially funded by way of the cash and assets that the US military seized from the former Iraqi government. After the US military had spent these seized funds by early 2004, just before the Coalition Provisional Authority came to an end, the US decided to keep CERP going with appropriations from the US government. Of the 552 agricultural reconstruction projects the US has started in Iraq, the Multi-National Corps-Iraq have managed 536, the US Army Corps of Engineers have managed six, and USAID has managed only ten. Other In 2005, United Nations human rights experts reported that about 25 percent of Iraqi children regularly did not have enough to eat, while 7.7 percent faced acute malnourishment. Development of Alternatives The Green Party endorsed International Seeds Day on April 26, and asked for repeal of Order 81 which makes Iraqi farmers dependent on US firms. 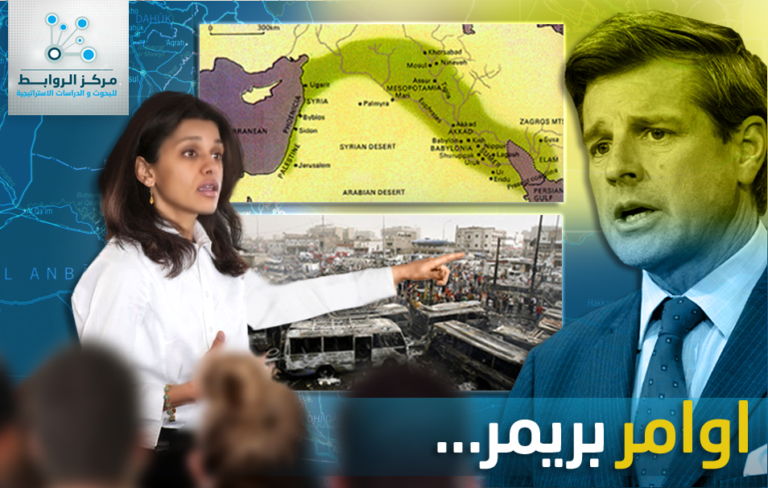 ISD, organized by the Institute of Near Eastern & African Studies (INEAS), will educate the public and media about the importance of biodiversity and seed saving; the dangers of genetically modified food and patent seeds; the ruinous effect of Order 81 on Iraqi agriculture; and the growing resistance to the power of giant agribusinesses over seed resources. The Green Party of the United States called on President Obama and Congress to repeal Order 81 immediately. Why? Explain briefly. According to more recent reports it seems Law No. 15 of 2013 cancelled Order 81 Articles 51-79 concerning plant variety registration and release. Dr. Dahlia Wasfi's, a physician and environmental activist, speech in 2008.